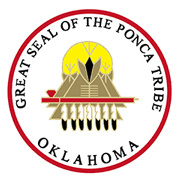 The Ponca Tribe Indian Child Welfare program will promote, support, and foster, safe, stable, and healthy families in the Ponca Tribe. ICWA Law- The Indian Child Welfare Act of 1978 was established to keep American Indian children with American Indian families. The Indian Child Welfare Act (ICWA) was passed so that Tribes could protect and pass on the cultural heritage and values of the Tribe to its children's children. The Indian Child Welfare (ICW) worker assumes responsibility, on behalf of the Tribe, for the protection, care and well-being of at-risk children who are enrolled or eligible for enrollment in the Tribe. The goal of the ICW worker is to limit the separation of these Indian children from their families and culture. The ICW worker is also responsible to develop additional guidelines for the ICW program. The Tribe must establish its own policies and procedures with regard to child abuse prevention, child protection, foster care and adoption procedures. The ICW worker can further protect the cultural values and heritage of all Native American Children by supportive membership in the appropriate State, National and Indian Organizations and by providing cooperative services as requested by Native American Tribes. One of the goals of all Tribal ICW programs is to provide fair and uniform services, in a confidential manner, to all Tribal members. 8. Guidance, legal representation, and advice of Indian families involved in tribal, State or Federal child custody proceedings. 1. Assistance with Private Adoptions and home studies which did not originate in local tribal or state court as a result of dependency hearings. 2. Assistance with juvenile delinquency petitions when the juvenile is not a ward of the tribal child welfare court. 3. Assistance with divorce custody home studies or custody disputes between parents. 4. Assistance with legal fees.